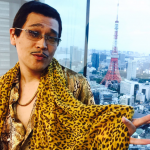 Here he is, Japanese singer-song writer Piko Taro releases another new song in December! He also releases a full-length album. What songs are included? What’s the lyrics for new song “Mistake a Second Letter” ? Have you watched CBCC? 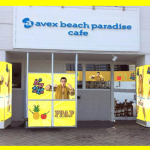 After massive hit of PPAP, Piko-Taro released CBCC! 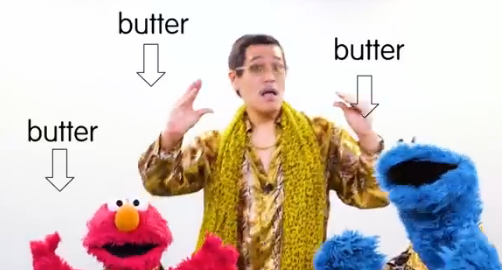 CBCC stands for Cookie-Butter-Choco-Cookie and melody is the same as PPAP (Pen-Pineapple-Appel-Pen). 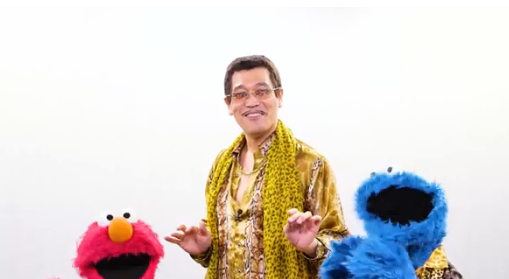 He sings and dances with Elmo and Cookie Monster from Sesame Street (available in Japanese version). 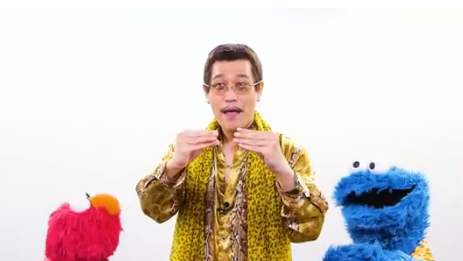 Elmo and Cookie Monster seem to enjoy singing CBCC. 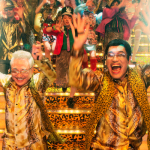 Piko Taro also teaches them how to dance properly. Below are lyrics of “Mistake a Second Letter” that will be released on December 7th, 2016. 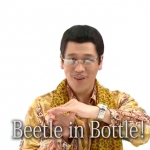 This is one of the songs in the Piko Taro’s first full-length album! 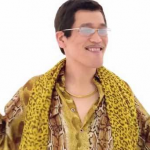 If you know basic Japanese, you probably notice that Piko Taro changes the second letter according to Japanese alphabet. The first ama starts with ma mi mu me mo. The second ina starts with na ni nu ne no. Just like other songs, this song doesn’t really mean anything. Rather, he plays letters and makes a catchy song. 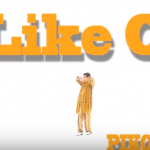 Piko Taro is going to release two kinds of album: one with DVD and the other one without DVD. Below is a list of songs that are included in the album. They will be released on December 7th, 2016. I’m interested in Piko Attack and Piko Walk. How about you? This post is also read by others → What’s Monster Parent?